Chinese New Year is the most important social and economic holiday in the Chinese calendar. It’s a time when families come together and celebrate the possibilities of the new. Traditionally, family members will travel from near and far to be together to pay respects to their ancestors. Before the festivities begin, homes across China undergo a spring-clean to purge the old and welcome in the new. Once the house is clean, red lanterns, couplets, paintings and cut-outs decorate all areas of Chinese homes in a bid to ward off evil spirits. Cities dazzle with red and gold. Friends and families exchange red envelopes with ‘lucky’ amounts of money in them, tasty treats are given as gifts and a fiendish number of fireworks are set off to drive off evil spirits and to signify joy. No matter where you’re celebrating Chinese New Year from, don’t forget to wear red – an auspicious, happy colour closely tied to this spectacular festival. 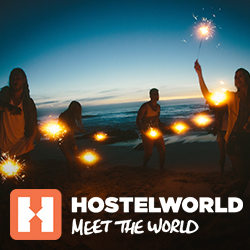 The post Chinese New Year 2019… Bringing in The Year of The Pig appeared first on Hostelworld Blog.